Sony is tapping into multiple divisions of their company for an interesting new experiment. 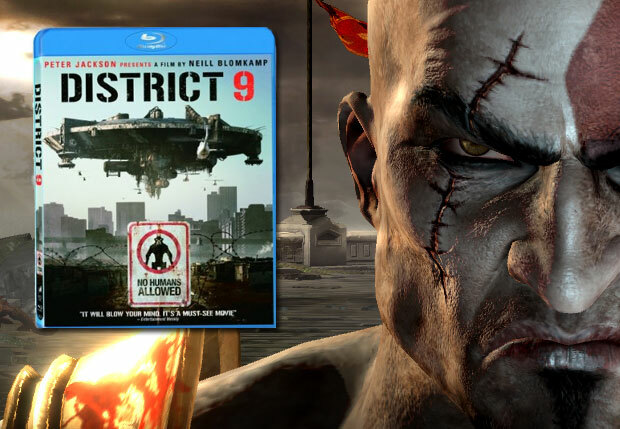 When District 9 hits Blu-ray on 12/22, it will have a special playable demo of the Sony PS3 exclusive video game, God of War III, included on the disc. Once a PS3 owner completes the demo, a special featurette of the game is unlocked for the user to view. Way back in February, Sony announced that they would be moving forward with 2 to 3 movie/video game hybrid discs… I guess they’ll have to settle for one. This entry was posted on Friday, November 20th, 2009 at 4:22 pm	and is filed under Tech News. You can follow any comments to this post through the RSS 2.0 feed. You can leave a response, or trackback from your own site.